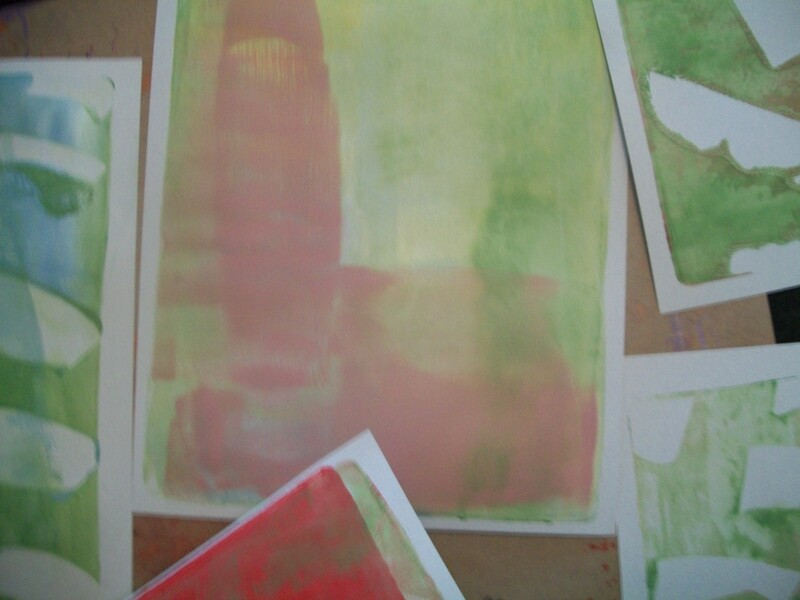 My first experimenting session with Gelli printing was a ton of fun. 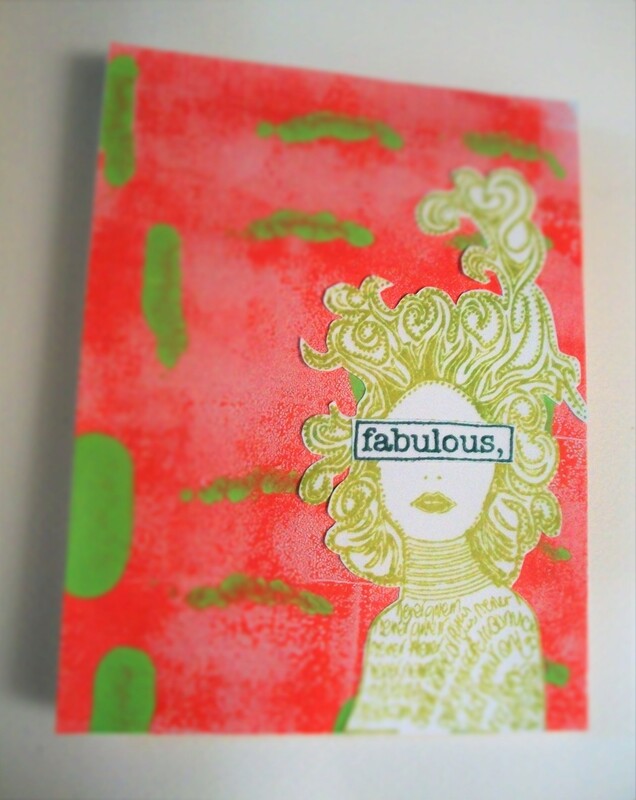 A Gelli Plate is a monoprinting tool that allows you to print backgrounds, unique art pieces, and pretty much whatever you want. 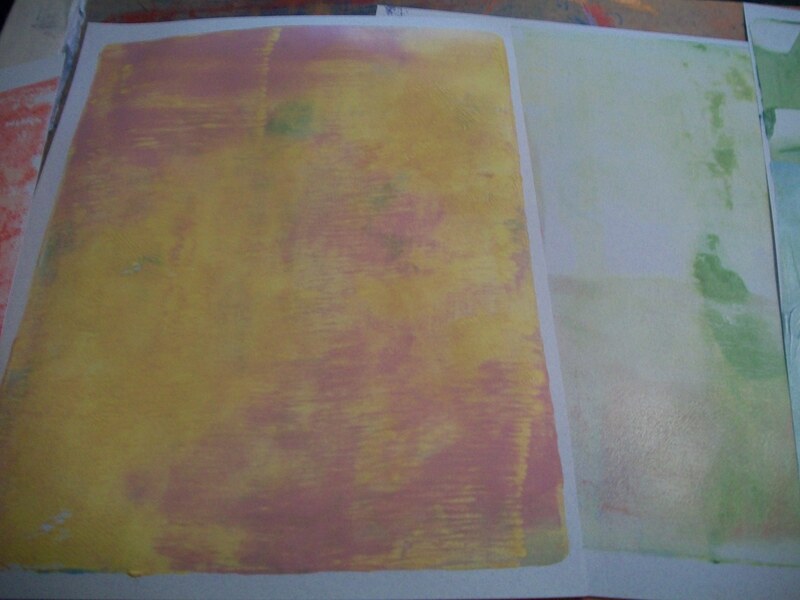 I first heard about Gelli printing from Carolyn Dube’s great YouTube videos and her website, A Colorful Journey. Her demos are fun and really focus on the concept of play — something we all need to remember. 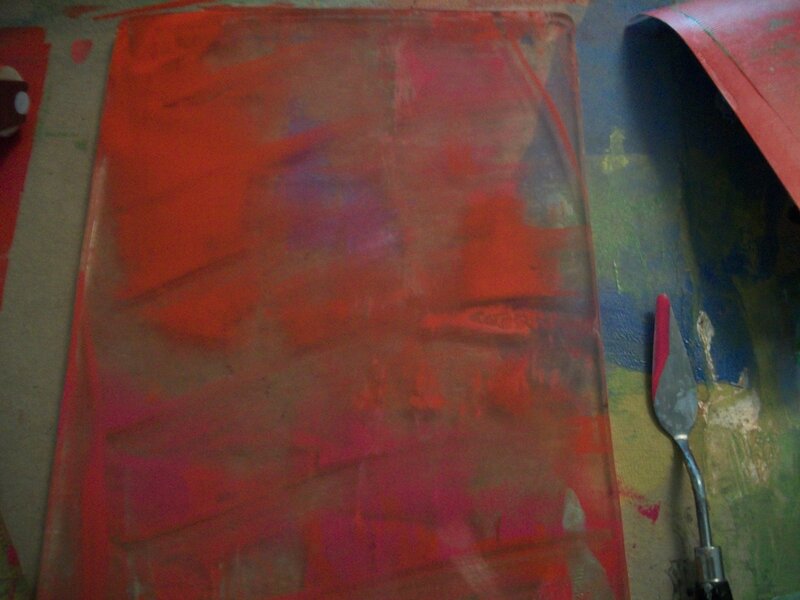 Here’s what the Gelli plate looks like mid painting session. It feels like a big flat sheet of Jello, but, thankfully, it’s not. 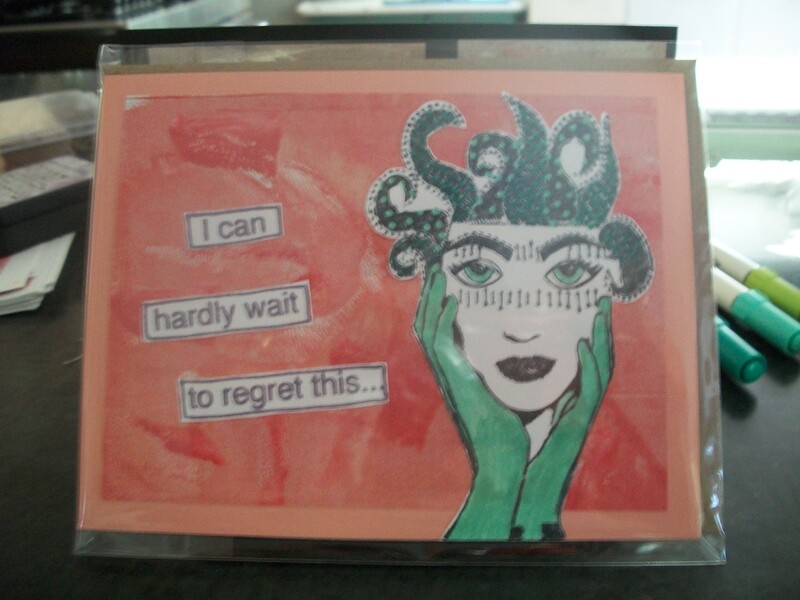 I used a palette knife and a brayer to plop paint all over the plate. 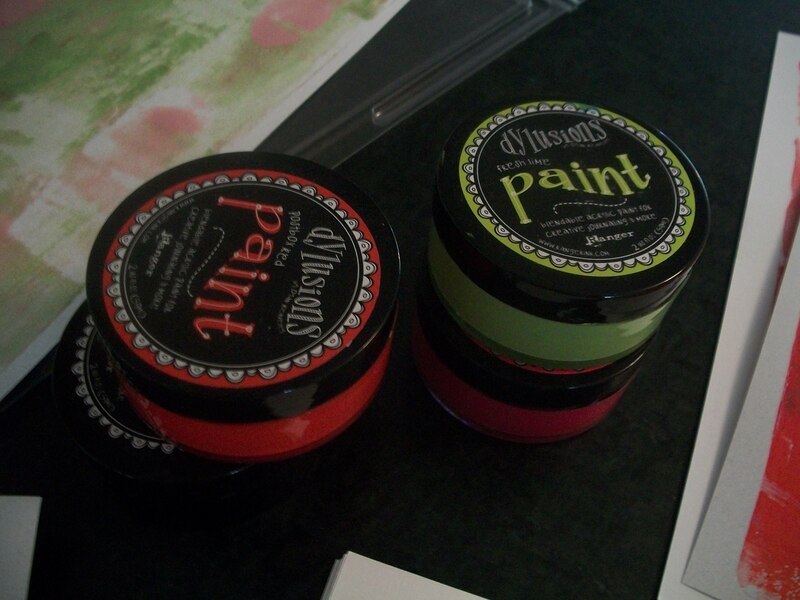 I used Dylusions Paints and a mix of random bottles of acrylic paints I had left over from who knows when. I combined all sorts of colors, and honestly, they all ended up looking awesome! Then I placed cheapo copier paper on top of the painted pattern, burnished it with my hands, and pulled it off to reveal the coolness. 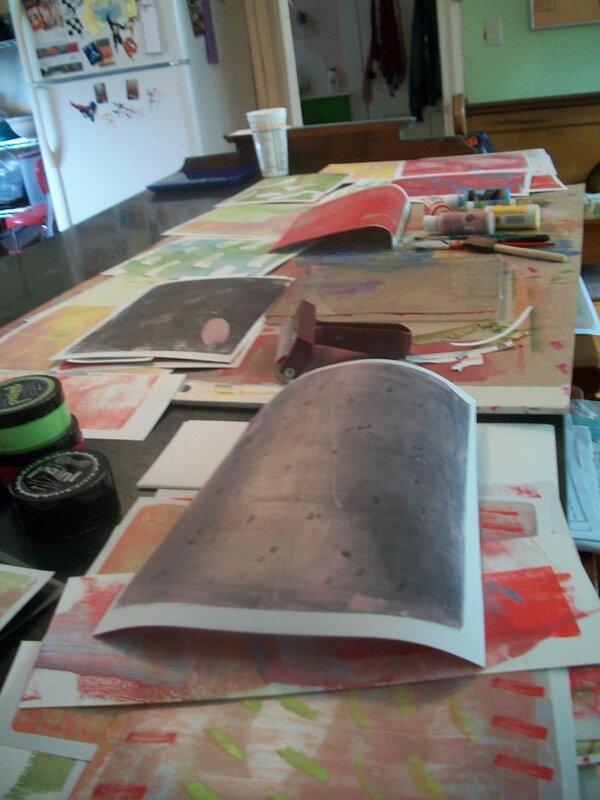 My experiments landed me all sorts of great prints (and lots less cheapo paper clogging up my space). 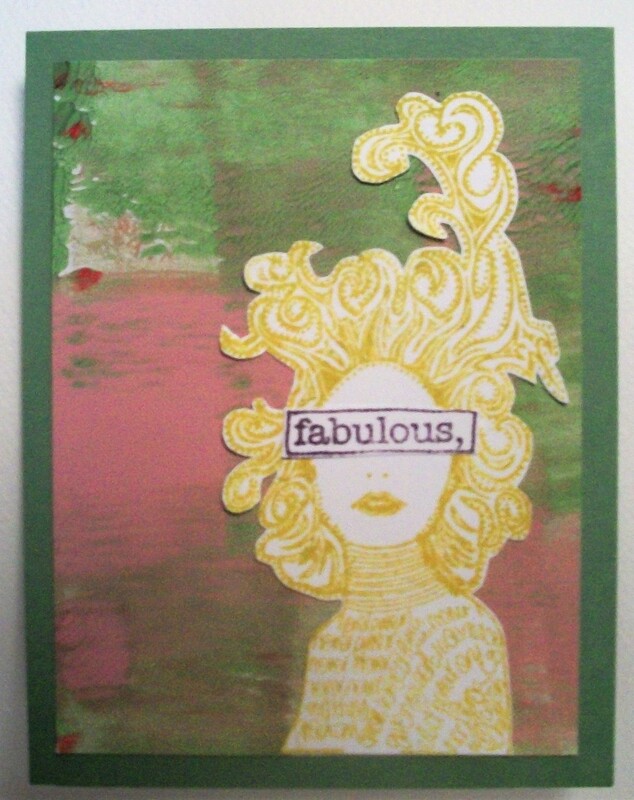 Then I put all the patterned loveliness to work. 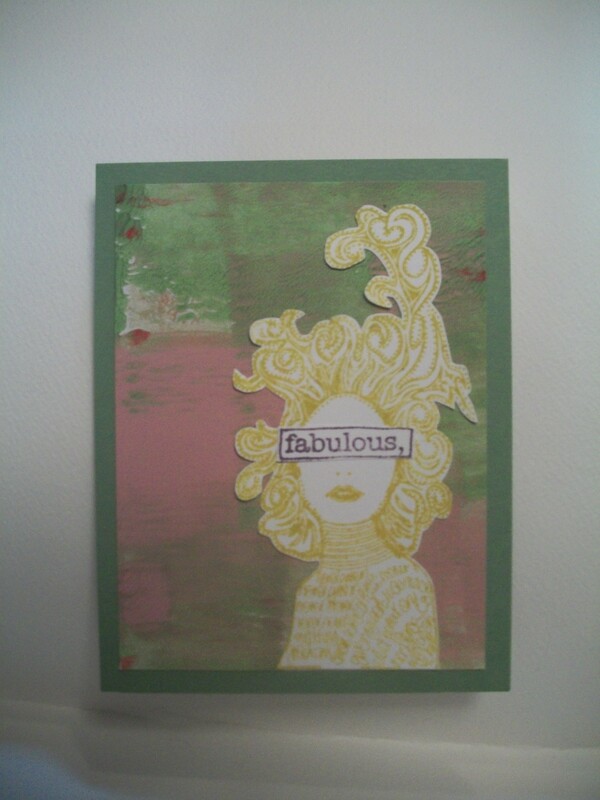 Thanks to Dyan Reavely’s Dylusions stamps, I created these super cool cards. 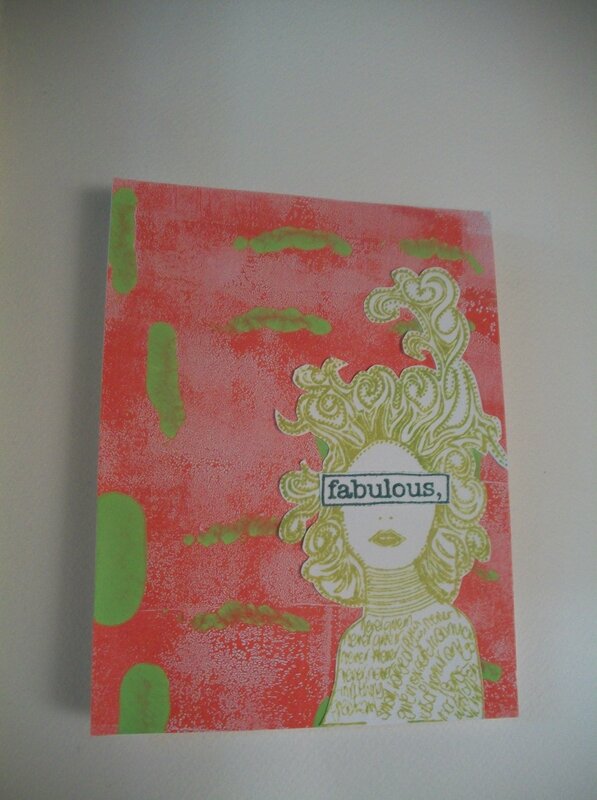 I can’t wait to try out more colors and techniques on my Gelli Plate. I wonder where all it will take me?